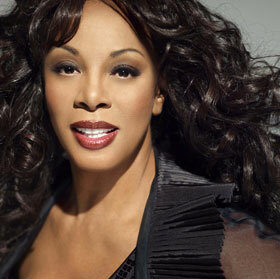 An artist who once defined the ’70s pop music generation as the “Queen of Disco,” Donna Summer has become one of the world’s leading singers and songwriters. The career of the five-time Grammy-winner spans a range of musical genres from R&B and rock to inspirational and dance. Born Donna Gaines to a large family in Boston, she developed an early interest in music. From the age of eight, Summer sang in church choirs and city-wide choruses, and by her early twenties she began performing in the musical theatre in Germany. While there, she won parts in such highly-acclaimed shows as Hair, Showboat, Godspell, and Porgy and Bess. She also met producers Giorgio Moroder and Pete Bellotte who produced her first single, Hostage, which became a hit in the Netherlands, France and Belgium.